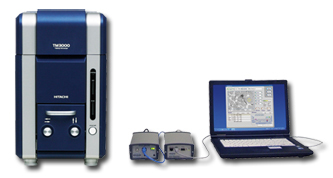 It is the useful tool for sample surface observation and screening analysis. • Light Element detection from Boron upwards. • Linescan, Mapping and multiple Point Analysis available. • No LN2 required. Quick and Easy Analysis obtained within minutes. • Image and elemental data displayed on the same monitor.